York School inspires and prepares a diverse community of creative, independent thinkers. Located on scenic hillside terrain in Monterey, California, 225 students in grades 8-12 benefit from an exceptional academic program and a welcoming community. Combining the classics with innovative teaching and learning, the York program builds expertise and ability, preparing students to creatively navigate the 21st century and jobs yet to be created. Committed faculty and small class sizes allow for personal attention and keep courses engaging and inspiring. Students are valued for their diverse talents, viewpoints, and backgrounds, and together, they expand the way they think, who they are, and where they want to go. Beyond the classroom, students pursue a variety of extracurricular activities including athletics, fine and performing arts, clubs, and service learning. This dynamic learning environment prepares York students to be leaders in an exciting future, meeting global challenges with confidence and compassion. The York Design Shop is a 21st century space for creative problem solving. The Shop hosts three connected rooms and is wifi enabled. The largest room features four large collaborative shop tables plus multiple shop benches and stackable stools. Drop down cord reels provide easy access to safe power while an electrical racetrack around the room provides 110 outlets and ethernet ports. The north features a 70” flat screen connected to an Apple tv. A collection of hand tools are wall mounted. The room also hosts mobile storage shelving. The Fabrication room contains a 50 watt Epilog HELIX Laser Engraver, a MakerBot Replica 2X, an Apple iMac, a shop bench, and storage. 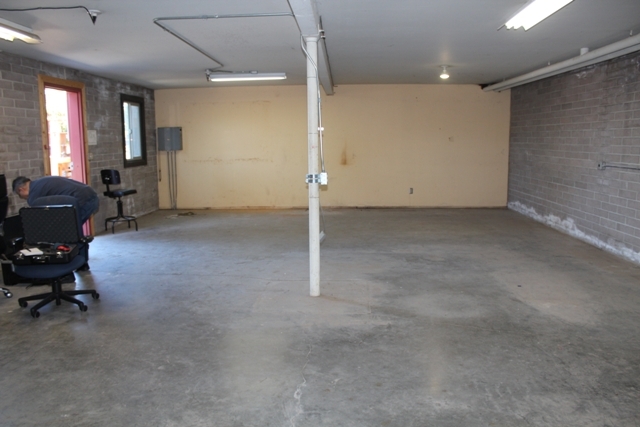 The Robotics room contains two shop benches, a lathe, a drill press, a bandsaw, a vertical saw, tools for woodworking and metalworking, and storage. While some refer to such facilities as FabLabs or MakerSpaces, York opted on a name that signals the combinative opportunity of Design Thinking and hands-on, learning by doing: the Design Shop. As a modern facility for creative problem solving, our shop is informed by the work of several individuals and organizations: 1) Seymour Papert, a champion of constructionist learning (“a belief that children learn most effectively when they build artifacts and share with peers”) and who helped establish MIT’s Media Lab; 2) Neil Gershenfeld, director of MIT’s Center for Bits and Atoms (an interdisciplinary initiative exploring the boundary between computer science and physical science); 3) Professor Paulo Blikstein, Director of Stanford’s Transformative Learning Technologies Lab, the mission of which “is to improve the teaching of science, technology engineering, and math […] in support of project-based, student-centered learning in STEM”. We agree with RISD that such interdisciplinary learning environments and experiences should include Art & Design as we move from STEM to STEAM. As we help York students build their foundation of core academic knowledge, skills, character and confidence, we also seek ways for students to design better tools, systems, and processes. We want our youth to empathetically and intelligently shape the world. The Design Shop’s main room is a large open space with modular, collaborative furniture, where all teachers and students can engage in Design Thinking experiences in support of creative, human-centered problem solving. In the Fabrication room, faculty from the Technology Department facilitate designing and making on 3D printers and the laser cutter for courses, such as Technology and Information Literacy and Design + Code. In the Robotics room, the Robotics class instructor as well as the First Robotics Team coach and community mentors guide students through design and construction of robotics components and a variety of functional robots. The Design Shop was built to ensure York students are future ready. It is dedicated to hands-on, active learning, creativity, and innovation. 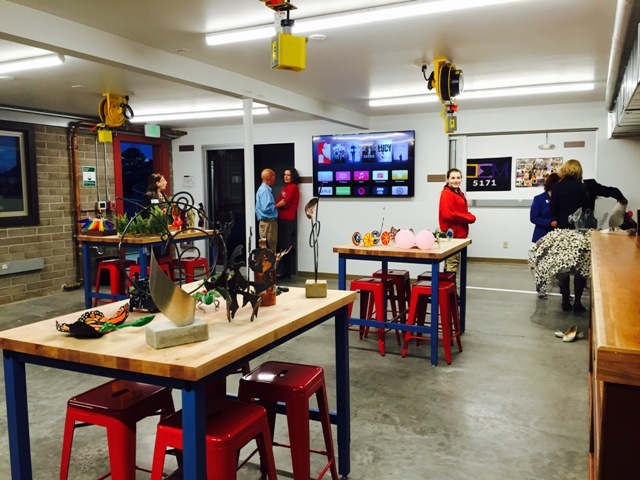 The Shop supports STEAM thinking, learning by doing, and product-oriented projects. York recognizes we live in an age of increased complexity and face global challenges at an unprecedented scale. The nature of connectivity, interactivity, and information is changing at lightning speed. We seek to enable a generation of leaders who believe they can make a difference in the world around them because we need this generation to build new systems and rebuild declining ones. We need them to be great leaders, great collaborators, great communicators, and great innovators. In the Shop, York’s First Robotics Team, “Deus Ex Machina,” produces robots for FIRST Robotics Competition; algebra classes apply their mathematical thinking to the production of owl boxes; the Technology and Information Literacy classes will 3-D print designs from Google Sketchup; Robotics class solders circuit boards and builds interactive projects on Arduino platforms; Ancient History students build replicas of historical sites; Music 8 students design and produce their own instruments; Physics classes design and make mousetrap cars for experiments in applied Physics; Code + Design utilize the 3D printer for rapid prototyping, and use the laser engraver while working in conjunction with the Environmental Science class in designing a learning experience in the Outdoor Lab that makes use of the mobile web. Visitors hiking the trails of the Outdoor Lab will encounter a small panel mounted in the ground with an etched steel plate. Users will scan the plate with their phone, which will then display information about the unique ecosystem of the Outdoor Lab. Visitors will learn about the issues behind controlled burns in the region and the difference between endemic species and indigenous species. The site will then direct users to a game where they will be able to show off what they learned and challenge them to find and upload photos of different plants. The Design Shop will be utilized for summer programs, such as the Stanford Honors Academy at York, iLead+Design. This spring, York students competing in MATE will utilize the Shop for designing and building underwater ROVs, and next year York aims to host multiple MATE teams competing in multiple competition classes. York would also like to host a Design Fair to celebrate student making. York also aims to host community professional growth activities as well as educational conferences in the Design Shop.